Temporomandibular joint disorder is a very common medically treatable and self-diagnosable condition that causes jaw pain and makes movement of the jaw difficult. There are more than 3 million new cases of temporomandibular joint disorder every year, in the United States alone. 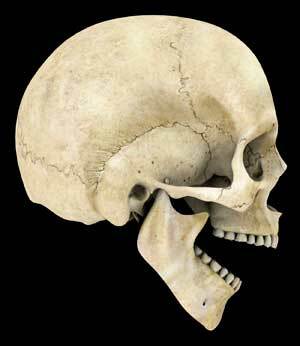 Your jaw is connected to the side of your head (temporal bones) by the temporomandibular joint. Your temporal bones are located directly in front of each of your ears. The temporomandibular joint enables jaw movement, allowing you to chew, yawn and even talk. Temporomandibular joint disorder occurs when your temporomandibular joint no longer functions correctly. Symptoms of temporomandibular joint disorder (also called TMD or TMJ Dysfunction) can be as strange as a change in how your teeth fit together to as severe as pain traveling the entirety of your face, including your jaw and your neck. Other symptoms include jaw muscles which are stiff or have limited movement, or even the jaw locking up completely. A person with TMD may also have a “popping” in their jaw which may or may not be painful. Although dentists are not absolutely sure on what causes temporomandibular joint disorder, they do believe TMD can arise from other problems that affect the jaw. Common pre-disorders can be caused by an injury to any area of the head and neck, including the jaw and face. Whiplash is a common pre-disorder for temporomandibular joint disorder. Other pre-disorders for TMJ Dysfunction could be arthritis in the temporomandibular joint, a tightening of the muscles surrounding the joint caused by stress, and grinding your teeth, usually, though not always, while sleeping. Any person, of any age, can be affected by TMJ Dysfunction, but the majority of people diagnosed are of the ages 19 and older, with the majority of them being 20 – 40 years of age, and most commonly – women. NOTE: Surgery to treat temporomandibular joint disorder is absolutely the last resort. Surgery is actually not recommended for treatment, because the side effects are generally worse than the actual situation. There are a few surgeries that are used for osteoarthritis but still only as a very last resort. That said, the following is a limited list of possible surgeries for treatment of TMD. OTC anti-inflammatory medications such as ibuprofen or naproxen. These medications decrease inflammation and help ease the pain caused by Temporomandibular joint disorder. If needed, your doctor or dentist can prescribe higher doses of these anti-inflammatory medications. Muscle relaxers, to allow joint muscle to relax in order release joint and relieve pain and/or discomfort. TENS therapy. Low-level electrical currents are used to relax jaw joint and muscles, and it’s also used to assist in pain relief. Ultrasound heat waves. As a pain relief, ultrasound allows heat to deeply penetrate the joint and allows better jaw mobility. Injections. Pain relievers or numbing agents are injected directly into the muscles, allowing patient to use jaw without pain. Radio wave therapy, to increases blood flow by stimulating the temporomandibular joint, and to also decreases pain. 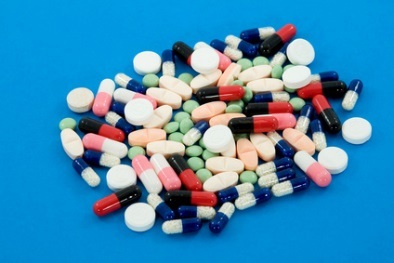 Antidepressants, prescribed in very low doses, can be used to control pain. In these small doses, these drugs will not treat depression. Alternating hot and cold packs. Apply a cold pack to the side of your face for approximately ten minutes, move jaw muscle ensuring stretching, then apply hot pack to your face for approximately five minutes. This can be done numerous times daily. Doing this will allow stretching motion of your jaw muscle without enduring as much pain. Alternating hot and cold is also an old known way of alleviating tension and inflammation or swelling. Avoid hard foods. Eat foods which are soft. 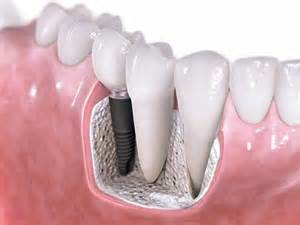 Allow your joint and muscle to move without extreme pressure or excess and unneeded larger opening of the jaw. Avoid clenching teeth. Learn to relax jaw muscles. Learn new methods to dealing with stress. Avoiding teeth clenching will not only help loosen the already tense joint and muscle but will also help avoid further damage and pain. Marijuana. 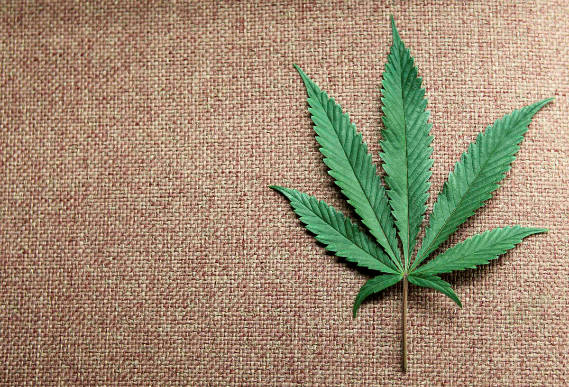 It may be prescribed (if legal in your state for medical purposes) to help alleviate pain. 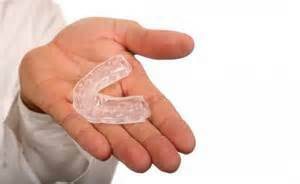 Night guard mouthpiece, a piece of plastic used in the mouth usually overnight, to avoid clenching or grinding of your teeth as you sleep. Splint, similar to a night guard except a splint is used continuously, not merely at night. Braces, bridges and crowns can be used to balance your teeth’s surface areas which touch each other (biting surfaces). Exercises can be used for stretching the jaw muscle, in an attempt to loosen the temporomandibular joint. Do these exercises in a slow and controlled manner. Watch yourself, in a mirror, and open mouth slowly. Make sure you are opening your mouth in a straight line. Hold for a short moment. Do not push yourself. Watch yourself, in a mirror, and open mouth slowly. Move bottom jaw slowly right and then left. Be sure to used controlled and slow movements, and do exercise in a straight line. Repeat throughout the day. Click your tongue. Do this repeatedly with mouth closed and then with it opened. Again, do this slowly, in control and in a straight line. With thumb, carefully stretch your bottom jaw. Hold for 30 seconds. Do this 5 or 6 times. Hold your fist under chin. Try to slowly open your mouth against your fist. Repeat up to 10 times. You can do this exercise a couple times a day. Only do this exercise if you are not currently in pain. Lightly clench your jaw for a count of five and relax. Do this about ten times, stopping if you feel pain. TIP: See your dentist if you believe you have any symptoms of temporomandibular joint disorder. This disorder is treatable and the sooner you begin treatment, the sooner the pain can be relieved.